Should foreigners who marry in South Africa before the expiry of their three-month visitor visas be allowed to regularise their stay? In papers filed at the Constitutional Court, Home Affairs bluntly says “no” and maintains that allowing this would be an abuse of immigration laws on a “drastic scale”. “Individuals will be able to travel to South Africa on a visitor’s visa and be immediately entitled to stay permanently at the expiry of the three months on the basis of an alleged spousal relationship,” the department’s acting chief director for permits, Rodney Marhule, said in the papers. Marhule’s affidavit was filed as a response to an application by two Cape Town couples who are up in arms over regulations that rule out their chances to acquire spousal visas. Home Affairs required the partners to travel back to their countries and obtain new visas there, something which the applicants maintained separated their families. James Tomlinson, a British citizen and permanent resident of South Africa, and his wife Sarah Nandutu, a Ugandan citizen, make up the first set of applicants in the matter. South African citizen Christakis Ttofalli and his life partner Illias Demerlis, a Greek citizen, were the other applicants. Tomlinson married Nandutu two months after she entered the country in 2015 on a visitor’s visa. Rejection of Nandutu’s spousal visa application also meant their son’s birth could not be registered. He cannot apply for a passport or an identity number. The child joins thousands born in the country but rendered stateless. Ttofalli got into a “life partnership” and started cohabiting with Demerlis within three months of her arrival from Greece. Gary Simon Eisenberg, the attorney for all four applicants, said in the papers his clients sought to be allowed to obtain spousal visas without traveling back to their countries. “The application aims to ensure that the applicants’ right to enter and maintain familial relations is not violated by requiring spouses to leave their families and apply for spousal visas from abroad. He said it was also unclear how accepting these applications from within South Africa was more inconvenient than processing them via foreign embassies. “The applicants’ familial relations should not be at risk just to make bureaucracy run smoothly,” said Eisenberg. But Marhule said Home Affairs' regulations were justified and were meant to prevent the defrauding of immigration processes. “The department has previously allowed individuals on visitor visas to change (to spousal visas) inside the Republic, and that this led to widespread fraud and abuse of the system. “The department has tried less restrictive means, and they had the effect of threatening the security of the Republic’s borders,” Marhule said. 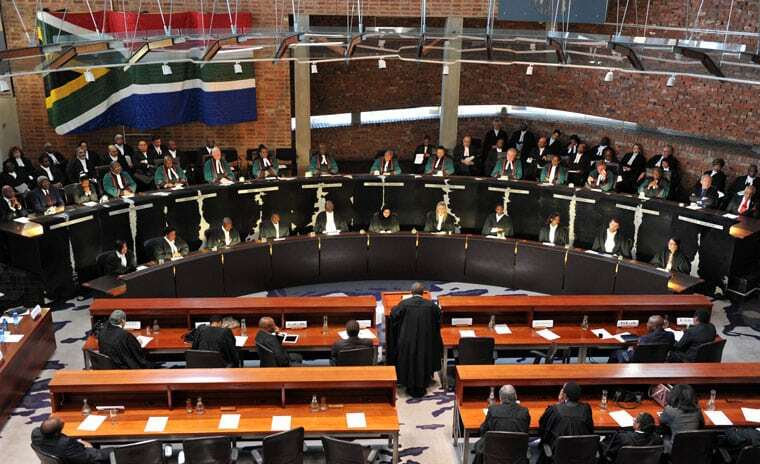 Makgakga Kgwadi, the Constitutional Court’s registrar, has informed the parties that the matter will be heard in due time.